Sandra M. Odell lives in Washington state with her husband, sons, and an Albanian miniature moose disguised as a dog. 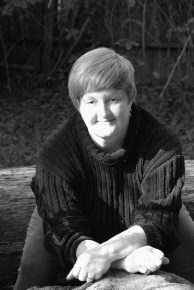 Her work has appeared in such venues as Crossed Genres, Daily Science Fiction, PseudoPod, Cast of Wonders, and PodCastle. She is a Clarion West 2010 graduate, and an active member of the SFWA. Her collection of speculative fiction holiday stories, THE TWELVE WAYS OF CHRISTMAS, is available from Hydra House Books. Her short story collection GODFALL & OTHER STORIES is scheduled for release in April 2018 by Hydra House Books.